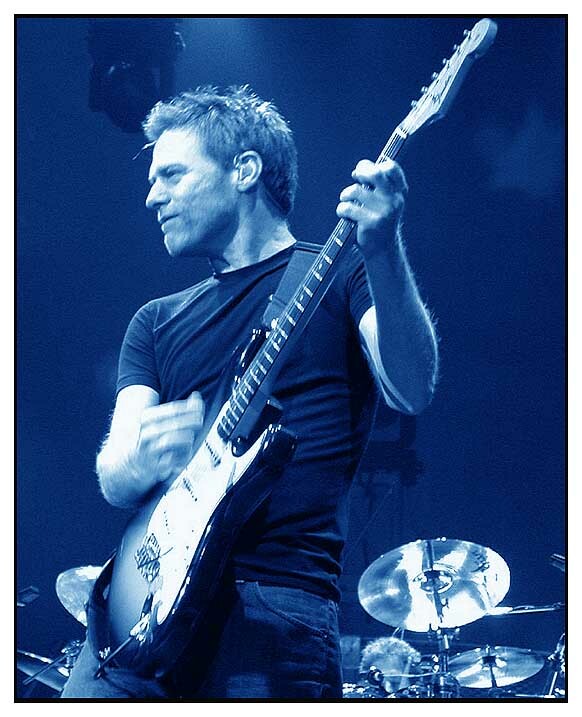 So Bryan Adams was coming to Hyderabad. And Sarthak and me had tickets to the concert. And I was pretty kicked. You see, I have never been to any real concert. I had been to an Indian Ocean concert, but the experience was spoiled because of some tasteful guys in the audience who interrupted the concert screaming, “Rock on!” and “Jai Ho”, which pissed Rahul Ram a great deal and the concert sank. Just as we were realising that it is going to be an uncomfortable affair standing here waiting for Mr. Adams to come on stage, the hostess announced that Arshad Warsi was here and had ‘something for us’. What Arshad Warsi had was a cruel joke. He was promoting some film called ‘Faaltu’ and some dancers came on to the stage and started performing to some songs. “FUUUUUCK YOOOOOUUU”, the crowd went, promptly. This went for about a minute, after which Warsi probably realised the plan had backfired and left the stage reminding us all about how much he loved us all. And then, Bryan Adams came on to the stage. He hardly looks like a rock singer. His hair was neatly parted at the side and gelled, and he wore a black shirt and jeans, looking more like the head of the Indian arm in a BPO company than a singer. Once he came on stage, we realised why the film stars had bought the more expensive tickets. What we saw was a synchronised show of heads bobbing up and down to the music. There was a lot of speculation on whether he was lip-syncing or not. “Har show mein wohi hota hai”, the wise guy who was standing in the group in front of us pointed, and after spending five minutes standing on my toes and not being able to figure out if he was in fact lip-syncing, I gave up. Even if he was, there was nothing I could do about it. There were no long chats between songs and drunk jokes like the kind Mohit Chauhan would crack on stage. He finished one song, smiled, spread his arms out, and went on to the other song. He was egged on by some creative slogans shouted once in a while. EVERY WORD i abrrrabaah TRUE.. But when the crowd heard the first strains of that one song, that one damn song that everyone knew, it was like the crowd had collectively taken a snort of coke. In unison, they blasted off into how they had bought that guitar at the five and dime, and the dumbass chick who kept standing on her mama’s porch. I surprised myself by knowing more than just one Bryan Adams song, but I guess that comes with having a girlfriend in the early 2000s. So I crooned along and cheered and ‘once mored’ after every song. He was a sport. He spoke to the audience, joked with them, took pictures, and asked one to come on to the stage and sing with him. You always know the reaction of the crowd to a show by the way they come walking out of the place. When people came out of the halls watching Rang De Basanti, everyone wanted to change the country. When people came out of Dhoom, even TVS Max 100 were revving like Hayabusas. And when people came out of this concert, everyone had an English song on their lips. Every one was nodding, or waving, or humming, and looking for the exit. This entry was posted in Hyderabad on February 18, 2011 by . This is just as entertaining as the concert I bet!